Posted on 15. June 2018 in Uncategorized, Društveni marketing, Oglašavanje, App, Brač Pass, Fun, Out & about, Društveni marketing, Brač Pass, App, Oglašavanje, Best of islands, Đir po otoku, Out & about, TOP 5, TOP 5, App, Out & about, TOP 5, Fun, Brač Pass, TOP 5, Uncategorized @hu, Без категории, TOP 5, Out & about, Recipe, Posao, Spiza, غير مصنف, Recipe by Dijana Šabić. Be prepared to be stunned by the beautiful and original Dalmatian ambient when entering this unique place! The restaurant Taverna Riva has the longest tradition and distinctive cuisine, and is located in very center of Bol’s port. Dining in konoba Toni is like dining in a museum – you’ll see so much of the local history in this restaurant you’ll know more about the island than most tourists ever! 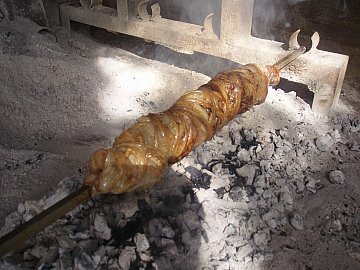 The most recognizable traditional meal on Brač is “vitalac”, and this is the place you can find it so don’t hesitate to taste this magnificent and unique meal. They hand pick the ingredients daily from the local market, their focus is on fresh and healthy food, so you can enjoy a real taste of the Mediterranean. Special attention is given to every meal they prepare, resulting in an amazing pleasure for your taste buds! Dishes are made according to traditional recipes of our region, of organically produced food and ingredients produced and grown on our farm. They offer authentic Mediterranean cuisine, and are well known for their seafood specialties made with fresh local products. Konoba Bokuncin offers amazing tastes, smells and flavors, that fill the promenade as one enjoys their delicious cakes and meals made with local products and just a pinch of genius. This list was made based on the number of page views of all gastro places on our website, as well as the number of inquiries made through our website, visitors comments and reviews. Let us know what you think and what is your favorite place to eat while on Brač!